life of a lost muse: No need to put on a show. I find it funny that people are shocked, shocked I tell you(! ), that I am a wee bit over 30 and *gasp* not married. I can say with all honestly that I am completely happy with that. I look at the photos of my friends who post pictures of their insanely cute babies and I think about what it would be like to have one. Then the reality reminder sets in where I realize that I can still sleep late, stay out late, go where I want to and even have a mimosa with breakfast & nobody can tell me otherwise. I don't fit into that mold. Right now, that is not my definition of happiness. There's no reason for me to be unhappy with the point I'm at in my life. My life may not be like yours, or yours, or yours, but please remember that we are all vastly different people, each unique in some way. Why should we be forced to conform to something because "it's just what people do"? Love who you are now. Have your dreams and wishes. 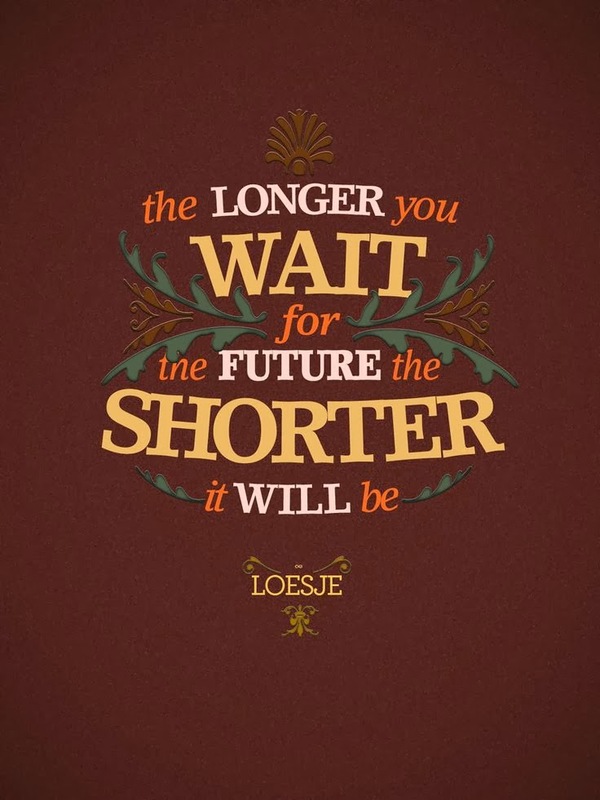 Just don't miss out on all the goodness in the present for your life of the future.